KRANJSKA GORA, Slovenia (AP) — After wrapping up his eighth consecutive men’s World Cup overall title on Sunday, Marcel Hirscher hinted that there might not be a ninth. The Austrian considered calling it a career after competing in two more races at next week’s World Cup Finals in Andorra. “It would hurt but it is imaginable,” said Hirscher, who turned 30 last week. Hirscher got married in the offseason last year and became a father shortly before the season started in October. “We have to talk about those things in the summer. Family is the priority, so it’s the question how much longer I can keep doing both in a sensible way,” he said about combining family and professional sports. Hirscher placed third in Sunday’s penultimate slalom of the season, extending his lead to 509 points over second-place Alexis Pinturault of France, with only four events remaining. A race win is worth 100 points. Henrik Kristoffersen of Norway was another 11 points further back in third. Clinching the title was a formality for Hirscher as Pinturault is unlikely to start in Wednesday’s downhill in Andorra, leaving the Frenchman with just three more races to score points. Sunday’s race was won by Ramon Zenhaeusern of Switzerland, 1.15 seconds ahead of first-run leader Kristoffersen, while Pinturault finished seventh. By winning the big crystal globe again, Hirscher has matched the World Cup record of 20 overall and discipline titles set by Lindsey Vonn, who won four overall, eight downhill, five super-G and three combined titles before retiring last month. Hirscher already held the record for most overall championships as no other skier, male or female, has won more than six in the 53-year history of the World Cup. 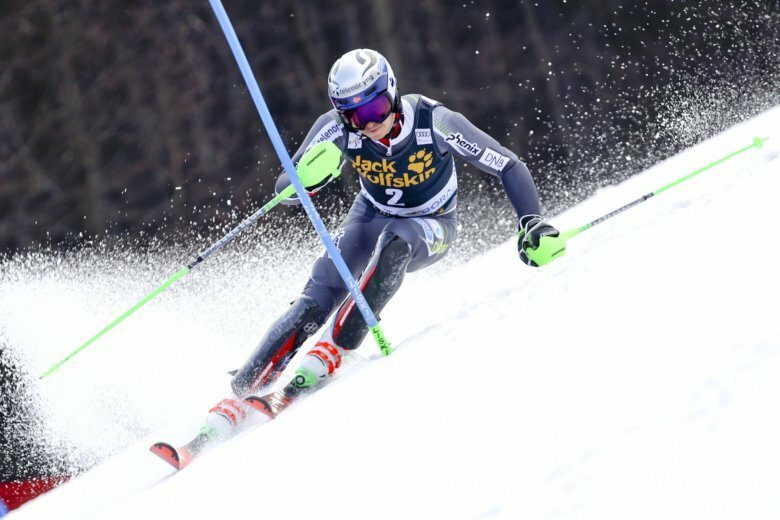 He locked up the discipline titles in slalom and giant slalom weeks ago, winning both rankings for the sixth time in his career. After finishing last season and finally having won Olympic gold, the only prize that was missing from his collection, Hirscher also thought loudly about retiring. He kept fans in ski-mad Austria waiting for months before announcing in early July that he would ski on for at least one more season. While he downplayed his chances going into the new campaign, citing his role as a family man, he has been as dominant as ever. Hirscher soon went ahead in the slalom, GS and overall standings again, racking up 10 wins in the process to raise his career total to 68. Only Vonn (82) and Swedish great Ingemar Stenmark (86) won more races. Hirscher failed to add another victory on Sunday. He won 12 of the previous 16 World Cup slaloms, but this time trailed by more than eight-tenths in sixth after the opening run before gaining three places in a strong second run. On a weakened course after days of mild temperatures and rain, Zenhaeusern posted the fastest second-run time to improve from his seventh place in the opening leg. It was the Swiss skier’s third career victory, but first in a slalom. Both previous triumphs came in parallel city events in Stockholm, in February and a year ago. “It’s incredible, no idea how this happened,” said Zenhaeusern, who earned his first slalom podium at the same resort a year ago. “Maybe I should buy a house and live here. I love Slovenia,” he quipped. Kristoffersen carried a big lead from the opening run but struggled and lost time early in his final run, preventing him from getting back-to-back victories on the hill after winning a giant slalom on Saturday. The next event is Wednesday’s downhill at the World Cup Finals.